With one Prilosec OTC pill a day, you can block frequent heartburn symptoms before they strike for a full 24 hours of heartburn relief. That way you can power on with your day—and rest at night—without concern that your frequent heartburn will flare up. 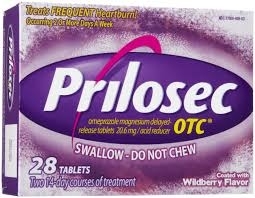 That’s because Prilosec OTC fights heartburn day and night by shutting down many of the acid pumps in your stomach. It can be the all-day, all-night heartburn protection you need. For adults 18 years and older: take 1 tablet with a glass of water before eating in the morning. Take everyday for 14 days. Do not take for more than 14 days, unless directed by a doctor. Do not take more than 1 tablet a day. Active Ingredient (in each tablet): Omeprazole delayed-release tablet 20 mg (equivalent to 20.6 mg omeprazole magnesium).